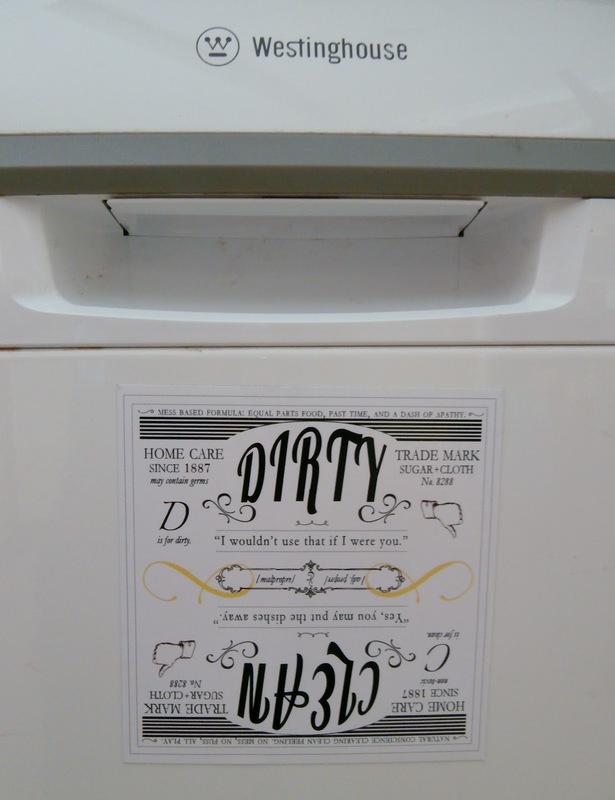 Speaking of slowing down one's Bible reading, look what happened at Bible study when we put the brakes on our reading of the first five verses of Proverbs and asked ourselves the question, "Why would you actually want to read the book of Proverbs?" What a fantastic list. What a great set of reasons to read Proverbs. The getting of godly wisdom - from Proverbs and from the full counsel of God - is for all...for the young and the old, for those who lack wisdom and those who already have some. And the benefits are many. What to do about those really, REALLY tricky Bible passages...so hard to understand but you know they're important and you really ought to try to nut them out. And what about those other passages, the ones that are SO familiar that you find yourself gliding over the top of them and barely taking in the detail? Here are a couple of things I do when I need to slow my Bible reading right down in order to absorb and understand what I am actually reading. Firstly, I read the passage aloud. Yep. Even if I'm by myself. I get to read bits of the Bible aloud with others quite a lot during the course of any given week. In speaking and hearing the words I often notice things that I would have otherwise missed when I'm just on my own and my eyes are flying across the page so I am convinced there are benefits to speaking and hearing the Bible as well as reading it silently. So when I get to a passage, even when I am just reading the Bible on my own, and I'm just not taking it in - because it is too hard, too familiar or I'm just not concentrating - I read it out aloud. It makes a big difference. The second way I slow down my reading, and this is especially helpful for those tricky passages, is to write it out. Pen and paper. It's slower than typing. Much slower than cut and paste. I see things that my eyes miss as they fly over the page. And if the passage is really, really, ESPECIALLY difficult I write it out almost like a list, with the smallest possible unit of meaning per line. Take those first six verses of Romans, for example. Paul, a servant of Christ Jesus, called to be an apostle and set apart for the gospel of God — the gospel he promised beforehand through his prophets in the Holy Scriptures regarding his Son, who as to his human nature was a descendant of David, and who through the Spirit of holiness was declared with power to be the Son of God by his resurrection from the dead: Jesus Christ our Lord. Through him and for his name’s sake, we received grace and apostleship to call people from among all the Gentiles to the obedience that comes from faith. And you also are among those who are called to belong to Jesus Christ. Oh my. There is SO much in those six short verses. But not many fullstops. And I have to say, I quite like short sentences. So look what happens when I break it down into its smallest possible units of meaning. I learn so much about Paul, Jesus, God and myself just by attending to each little phrase a little more slowly. Doing it by hand is arduous in some respects. But very rewarding. 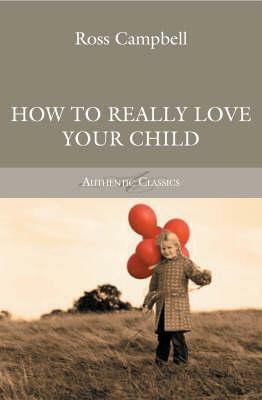 We received a copy of How To Really Love Your Child by Ross Campbell as a gift when our first baby was born. I read it at the time and liked it, but moved on pretty quickly to the books that gave me the specific advice needed for the minutiae of the moment - sleeping, feeding, teeth, tantrums, temperatures and the like. The principles of How to Really Love Your Child apply to infants and toddlers but it is a period that calls for specific survival techniques rather than broad brush strokes. However as those young children emerge from their toddlerdom into that golden era called childhood, this book really comes into its own. Lots of physical touch - and he gives a lot of time to the subject of appropriateness in this department and how appropriateness changes as a child gets older. Discipline comes into it too and there is a lovely chapter on this issue - that is, training a child in what is right, rather than punishing a child over what is wrong. And then he finally gets to the "what to do when they are naughty" bit. More than three quarters of the way through the book. And this is the genuis of the book. When I used to have student teachers at school and on the handful of occasions I've run a training session for Sunday School teachers, the question, "What do we do when they're naughty?" always comes up. That's normal and expected. And I always irritatingly answer that question by saying that most classroom discipline problems can be dealt with by good lesson preparation. For the most part, classroom disruptions can be avoided by running good lessons. Now before you all head to the comment box, I know, OH HOW I KNOW that this isn't always the case. Sometimes we have some truly challenging children in our midst who haven't had breakfast or who live on sugar, whose home life is terrible or whose routine is non-existent, who are sick or who have experienced some sort of trauma. Or you have the children whose home life is steady but last night they had an awake-over sleepover and today it is windy and tonight it will be a full moon and... Stuff happens. I know. You should have been in my first Scripture lessons last week! There was a lot of stuff happening there...not a lot of Scripture lesson though. But generally speaking, most classroom problems can be avoided by good planning. And Ross Campbell contends that most discipline issues at home can also be avoided if a child feels well loved. They won't do all that attention seeking stuff if they know they have your attention. He gave plenty of examples of when his kids did muck up and he was able to pin it down to the fact that, as he phrases it, their "emotional tanks" were not full. At times he had the clarity to realise this and deal with it properly instead of heading into a session of unwarranted chastisement. At other times he mucked up. Campbell's approach is not permissive. He is all for firm boundary setting, good training and high expectations. He is all about making sure that children don't develop scarily dependent relationships with their parents (and vice versa) but grow and develop into mature, independent, capable adults. He is also up front that the he is speaking in broad terms. Things don't run to script - he is not suggesting a formula that will work perfectly in every instance every time. And furthermore he is not suggesting that parents don't have a right to get on with the things they need to be doing. But he is suggesting that when kids feel loved things go better. I was spurred on to read this book for a couple of reasons. Firstly by a comment Cathy made about slowing down to look at her children in the eyes when they are talking to her. It reminded me of this book with its emphasis on eye contact. Reading it has been a good reminder to seize the moment, because these moments won't always be around. And secondly, we have been catching the odd glimpse that our firstborn might sometime in the next year or few turn into a teenager. Which brings me to Ross Campbell's next book - How To Really Love Your Teenager. Stay tuned. This post is to say thank you to Deb who in four short months of blogging at This Fleeting Moment, has changed my life. Deb's blog is full of godly wisdom, insightful observations of life, fantastic cleaning and home organisation ideas, great food, amazing craft ideas for kids' groups and fun. And she likes letter writing, teaching and West Wing too. The perfect blend of serious thought and great humour. And in four short months she has changed my life. ...and away I go. Now don't get me wrong. Our house isn't spotless. It still has a very much lived in look and feel to it. 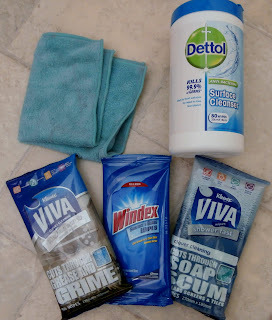 But with all these wipes and a good dusting cloth, those 15 minutes windows are now amazingly efficient, productive and satisfying. 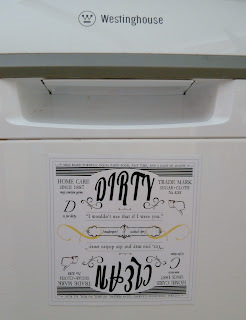 ...and now our dishwasher sports this snazzy magnet. Hey presto. No more sad moments in the kitchen. Thank you so much Deb and thank you Karen too. Two blogs worth a peek for a realistic, God honouring, fun and helpful view of life. b) words to that effect. b) then I would have to review them. b) life is too short to read bad books. b) not with a view to criticising it. b) just thought you should know. I have been having an email conversation with a friend about the roles of men and women in church over the last few months. It's been a fairly protracted discussion. Long gaps between the emails while we ponder the questions and frame our answers. We all know stuff about these issues - bits of what the Bible has to say - and we know it all to be very emotive. Especially as we approach those muddied, murky waters that are the two words "headship" and "submission." But are we able to sufficiently push aside what our emotions are telling us for long enough to really see what the Bible is actually saying about these things? So my friend and I were glad to discover a new book that has been published this year about this very subject - God's Good Design: What the Bible Really Says About Men and Women by Claire Smith. I have just finished reading it and loved it. After an opening chapter providing a brief survey of feminism, the book is divided into two sections covering the role of men and women in the church and within the home. Claire Smith takes seven of the key Bible passages about the roles of men and women - looking at 1Timothy 2, 1Corinthians 11 and 1Corinthians 14 within the church and then Ephesians 5, 1Peter 3, Genesis 1-3 and Proverbs 31 within the home - and does a thorough study of what each of them has to say about the role of men and women. Each of the passages is tackled in detail, one chapter at a time. Claire Smith presents what she calls a plain reading of the passage - asking, "What does the Bible have to say about this?" rather than "What does my head/heart/need to have my rights met say (with bits but maybe not all of the Bible/passage informing my thoughts) about this issue ?" (See how messy it gets - and quickly.) There are a number of specific verses along the way in some of these passages (if not the whole passage in toto) that often stop people women in their tracks. In tackling fairly large chunks of Scripture she is able to put those traffic stopping verses in their wider context and in light of the whole counsel of God, unpack them with a clear head rather than in an emotive lather. Claire Smith has done her work. Her studies are thorough and well founded. As I was reading along I kept thinking, "Wow, this is a really straight shooting book." God's Good Design may be straight shooting but it isn't harsh. Claire Smith writes gently, lovingly, humbly, and generously. All through the studies she seeks to explain in clear terms what the Bible is saying about things that are pretty challenging - but she also leads us pastorally through all those "What if..." and "What about..." questions. She knows all the niggling doubts and concerns we have. She's been there too. And to demonstrate that, she tells her own story in the final chapter and shows how she personally applies these passages in her own life. This is a very encouraging book and a good read for women AND men as we aim to understand one another's roles at home and at church and seek encourage each other to be and do our very best for the sake of unity, harmony, service and living in a way that honours one another and brings all glory to God - the Master of this good design and plan for our lives. 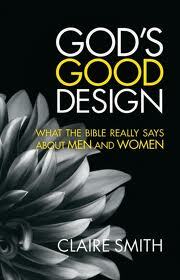 You can get yourself a copy of God's Good Design from Matthias Media. Available in paperback or as an eBook. Persecution, disease, war, disability, disaster, freak accident, assault — all are alike in this: Satan aims to destroy your faith, but God aims to strengthen it. This is such a helpful comment. When things go wrong nationally or personally we often find ourselves looking for reasons or explanations. Is this God's judgment? Is it God's discipline? Or is this as a result of living in a fallen world? Often times, especially in the case of large scale disasters, we have no way of knowing. In personal matters we may have an inkling that God might be disciplining us, if we know that discipline is due. But mostly, in the face of crisis, personal or national, it is simply not for us to know why, at least in the immediate situation. But this, as Jonathan Parnell has said, we know. Satan will use the situation to destroy our faith. And God will use it to strengthen it. That is all we need to know. And then we need to attend to it in God's strength as best we can - that our faith might be strengthened. And that is enough. When I read the Psalms I don't tend to read the fine print. That is, I don't tend to read the little subheadings under the Psalm numbers. You know..."A psalm of David", "A song of ascents", "Of the Sons of Korah", "A maskil of Ethan the Ezratite", "A psalm. A song. For the Sabbath day", "A psalm for giving thanks", "A prayer of an afflicted man. When he is faint and pours out his lament before the Lord"... And because I don't tend to read those little subheadings I miss little important pieces of information. So there I was, making my way through Numbers. It has been a bit over a year since the people of Israel were rescued from Egypt. They are in the desert and Moses, under God, is trying to hold it all together. But there are ructions. The people are begging for food, anything other than that manna. Miram and Aaron start opposing Moses' leadership. There is the exploration of Canaan, the Promised Land, and then the subsequent rebellion of the people who are too scared to go in and take ownership of the land. Then God plans to kill them all for their disobedience and lack of faith and trust. Moses pleads their cause and God decides that Caleb and Joshua, the faithful spies, will enter the land but no-one else from that generation. It should have been so good. Life as God's people under His rule and care. And it was all going so very badly. And then, at least in this particular chronological plan, up pops Psalm 90. I love Psalm 90. I read it often. It's a great wisdom psalm. It helps me to humble myself before the Lord - to know my right, small place in space - and it helps me to ask for the right, wise things in prayer. It is a psalm that I often turn to when someone I know has died. It shows me that God is control and it shows me what is important. But because I don't read the fine print I don't think I have ever taken in (or at least, not in recent memory) that this, a favourite of mine, is a psalm of Moses. I usually read Psalm 90 as a personal psalm. But it takes on amazing power when read as a national psalm. Imagine Moses, trying so desperately to usher an enormous group of people into the land God has promised them. Imagine Moses, described in Numbers 12:3 as "a very humble man, more humble than anyone else on the face of the earth" on his knees praying this prayer for the whole nation of Israel, not just for himself. Imagine if we prayed this psalm for our church communities, for our wider communities, for the Kingdom of God. Read the fine print. At least, read the biblical fine print. It is important.